I thought that you might enjoy this picture taken by Rodolph de Salis at Paddy’s house in 2010. Maybe you are reading this just before lunch or ‘after the sun has passed the yardarm’ and it will accompany you as you settle down for a relaxing Drink Time! This entry was posted in Paddy's Friends, Paddy's Houses and tagged Drink Time! on November 30, 2014 by proverbs6to10. Stin Y Geia Mas !!! 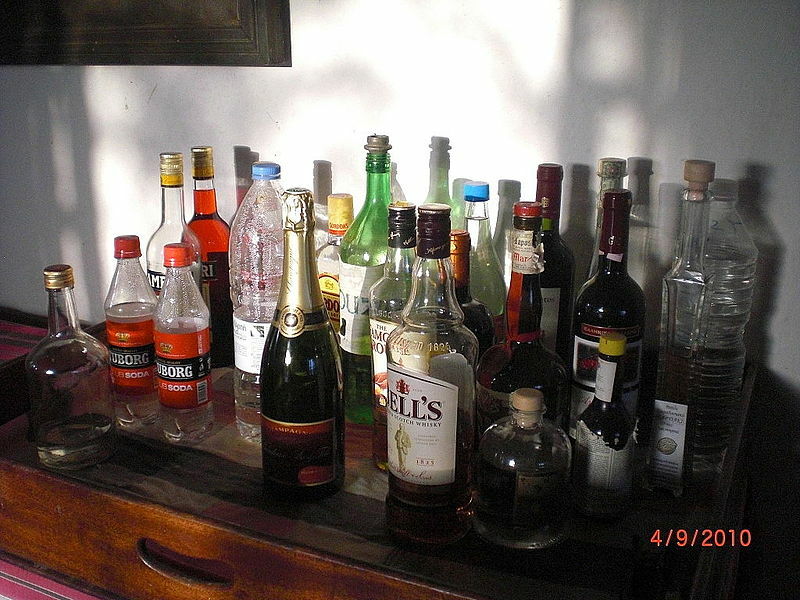 It seems to be an ideal drinks cabinet: to put away the bottles one would first have to put away the contents! Good to see the tradiitional raki bottle in there. I have two empty Pierre Vaudon bottles and corks given to me by Rita, Paddy’s Dumbleton housekeeper, as a reminder of the lunch of few of us had with Paddy back in 2005.